Email and Web hosting, VoIP and email marketing products for small business. If you contact us outside of working hours there is every chance you will receive a response from whomever is on duty. Using normal email and Owncloud to create a viable open source Groupware alternative to MS Exchange for use on Android, iPhone, PC and Mac. Choose us for performance and after sales service without the premium cost. bespoke Joomla module to an Open Source CRM. Install, support or development. 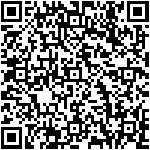 Take a look at our QR code, if you hover over it you can scan our full VCard. Commercial Internet Solutions provides internet applications and services to Small Business clients around London. from our Tier 4 hosting facility - Custodian in Maidstone Kent using n+1 redundant Supermicro servers. We provide fast web and secure (SSL) imap and pop3 email hosting and cheap, compliant easy to use email marketing software. We host, manage and backup Microsoft Windows Small Business Servers, dedicated Linux servers and Asterisk/ SIP based VoIP PBX solutions.